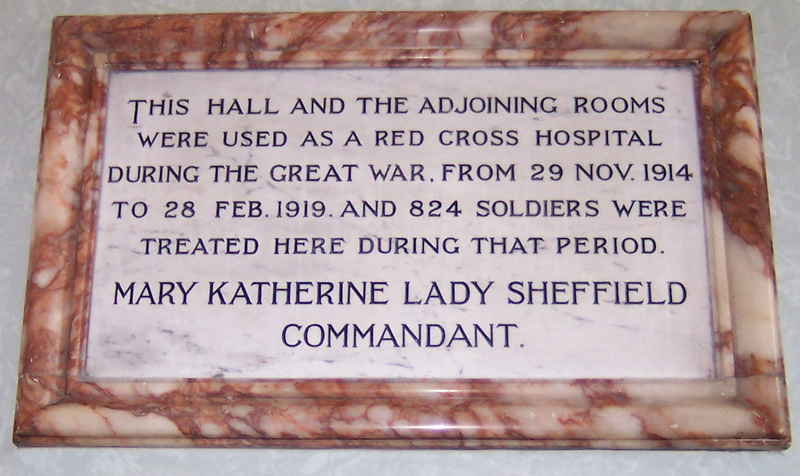 At the outbreak of the First World War, the British Red Cross and the Order of St John of Jerusalem combined to form the Joint War Committee to pool resources under the protection of the red-cross emblem. Because the British Red Cross had secured buildings, equipment and staff, the organisation was able to set up temporary hospitals as soon as wounded men began to arrive from abroad. Large numbers of public buildings (often large houses) were turned over for use as small hospitals. Brookdale Hospital in Alderley Edge and Alderley Park Hospital in Nether Alderley were two such hospitals. Joseph John Armitage, born in Pendleton, was a cotton manufacturer. 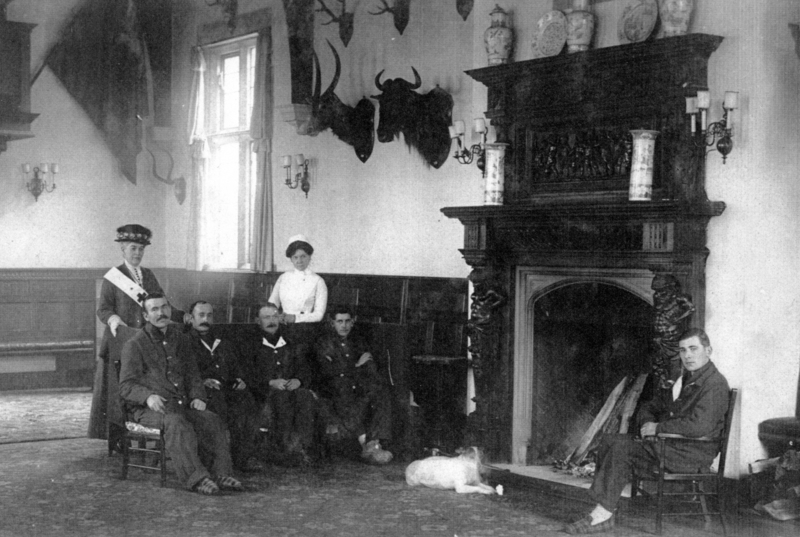 He owned extensive cotton mills around the Pendleton area. In 1858 he married Hannah Fenton. They had five children one of them being Emily. In 1894 Emily married James Arthur Hutton (a cotton merchant) who was born in Bowden. By 1911 the couple were living in Woodlands, Alderley Edge and in March 1918 she was awarded an OBE. Emily died in February 1919 and a large funeral was held at St.Philips officiated by both the Vicar and also the Rector of Alderley, the Rev. C Welland. Emily’s body was then conveyed up to St.Mary’s and she was buried there next to the Stanley Mausoleum. Mary Katherine Bell, normally called Maisie, was the daughter of Sir Isaac Lowthian Bell of Bell Brothers, a very prosperous, rich and successful steel manufacturer. Mary Katherine was married to Edward Lyulph Stanley, the 4th Lord Stanley, She was 65 years old when WW1 broke out. Both she and her husband are interred in the Stanley Mausoleum. 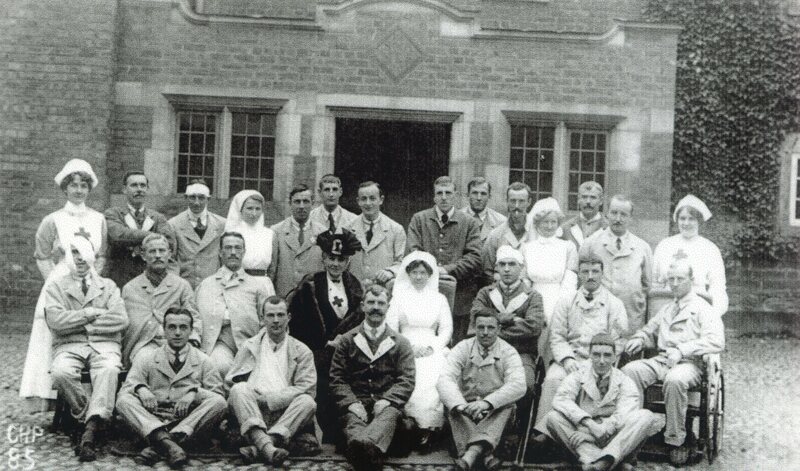 In November 1914, Lord and Lady Stanley had the Tenants Hall at Alderley Park fitted up as a hospital for wounded soldiers. Lady Stanley had long been prominently associated with the Red Cross and took a keen interest in the work of nursing. She was Vice President of the Alderley Division and also received the Royal Red Cross award for services rendered in establishing and maintaining the Normanby Park Hospital in Doncaster. 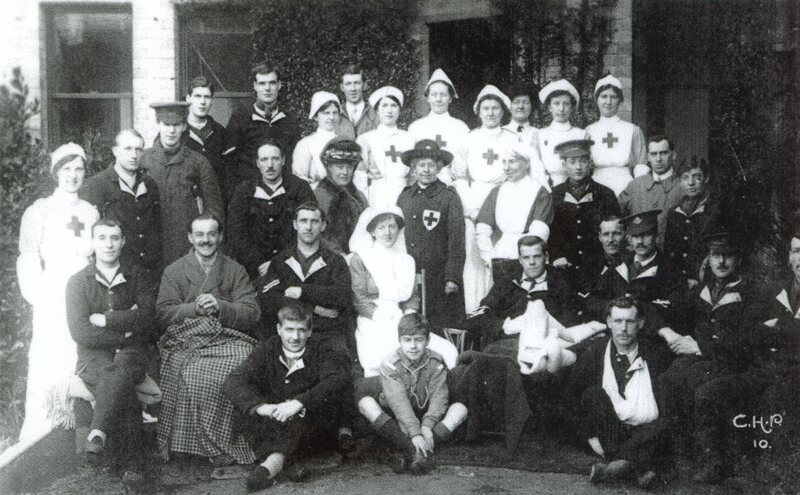 By December 1915, 26 patients had been treated at Alderley Park including several overseas soldiers from both Australia and New Zealand and by August 1916, due to the large numbers of wounded soldiers being sent to Alderley Park, it was enlarged and for that purpose several of the private rooms were used. In the 4 years Brookdale had been running it had treated 1817 patients (only one man died) and by the end it had 73 beds in operation. Some open air wards proved to be an asset. Throughout the war years there were frequent musical concerts held at both Alderley Park and Brookdale which helped raise funds and boost morale. The Park even hosted a few fancy dress balls! Brookdale and Alderley Park closed in February 1919.